This program package enables the use of a Playstation Portable as an additional monitor in Windows. You can also remotely send keyboard and mouse commands to the PC. The newest version implements sound streaming, too. 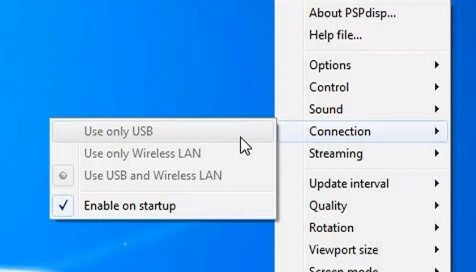 PSPdisp is compromised of four components, on Windows a display driver, an usb driver and the interface application which captures the screen, compresses it and sends it over USB or WLAN to the PSP. On the PSP side there is an application that decompresses the frames and displays them.